Viknesh Vijayenthiran September 7, 2018 Comment Now! 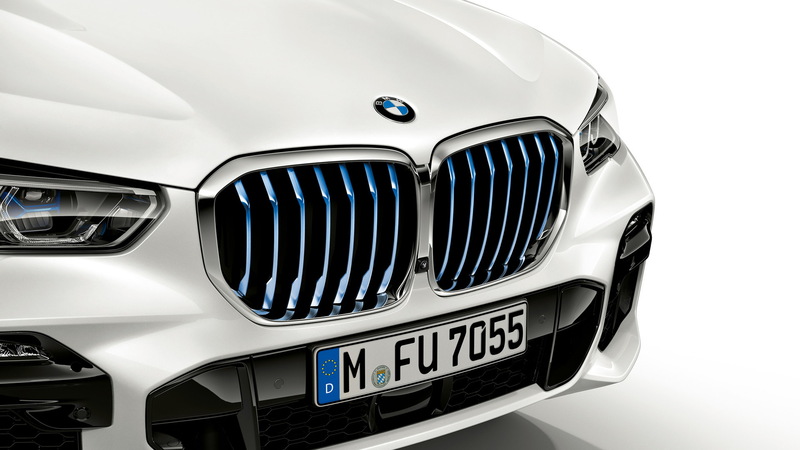 BMW was one of the first in the luxury segment with a plug-in hybrid when it launched the X5 xDrive40e for 2016 based on the third-generation X5. 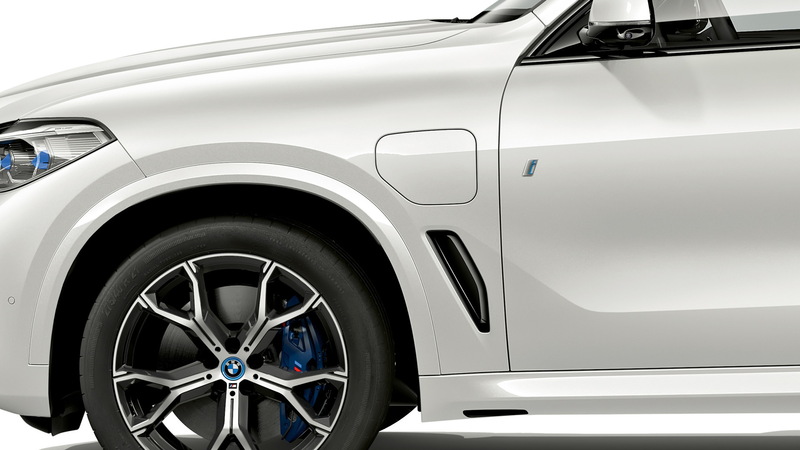 However, the vehicle's lowly 14 miles of electric range left many wondering whether a standard hybrid would have sufficed, since the vehicle would end up being driven in hybrid mode for most users. BMW has since launched a fourth-generation X5, and this one will offer a plug-in hybrid model too. It was revealed on Friday but isn't due in showrooms until 2020. It will arrive as a 2021 model. 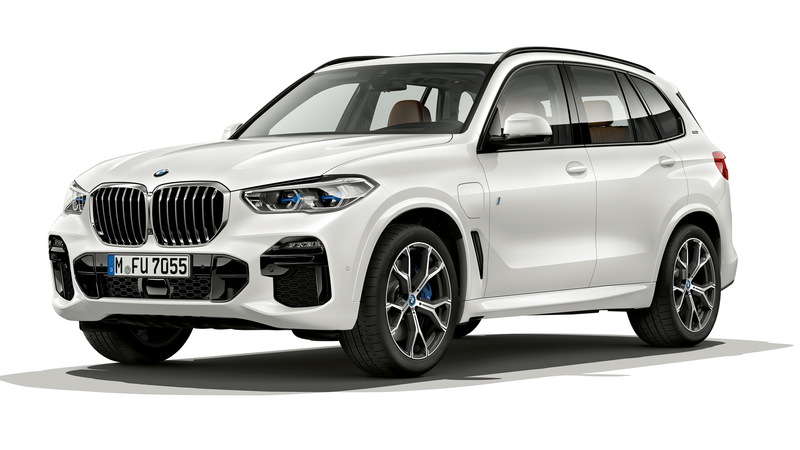 Being so far out from the market, BMW is yet to lock in specs for the new X5 plug-in hybrid, whose official name is X5 xDrive45e iPerformance. However, the automaker is confident the electric range will be substantially higher than the 14 miles of the previous model. Something closer to 50 miles on a single charge is expected. The top speed in electric mode has also been increased from 74 to 87 mph. The other big change is a switch from the predecessor's 2.0-liter inline-4 in favor of a 3.0-liter inline-6. The engine is turbocharged and working with an electric motor integrated with the eight-speed automatic transmission sees system output register at 394 horsepower and 442 pound-feet of torque, enough for 0-62 mph acceleration in a brisk 5.6 seconds and a top speed of 146 mph. 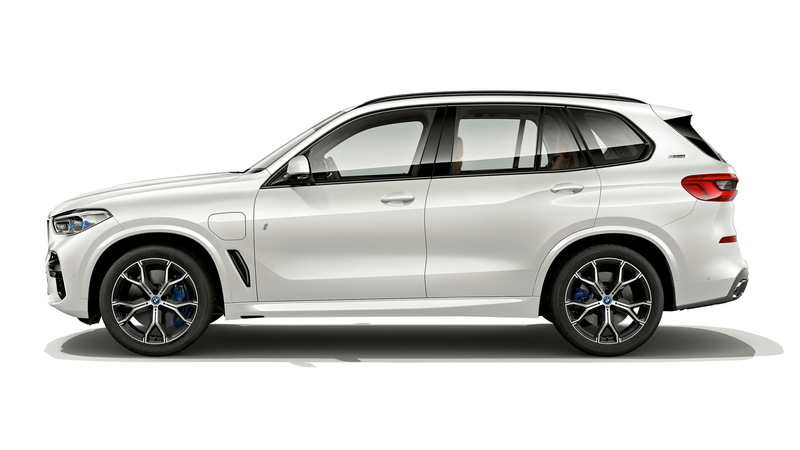 Drive is to all four wheels via the X5's standard all-wheel-drive system. The battery is a high-voltage lithium-ion unit positioned in the underbody area of the vehicle, helping to minimize the loss of interior space as well as lowering the vehicle's center of gravity. BMW says the trunk volume decreases about 5.3 cubic feet compared to the regular X5. Nevertheless, there's still a generous 60 cubic feet of storage when all seats are folded. 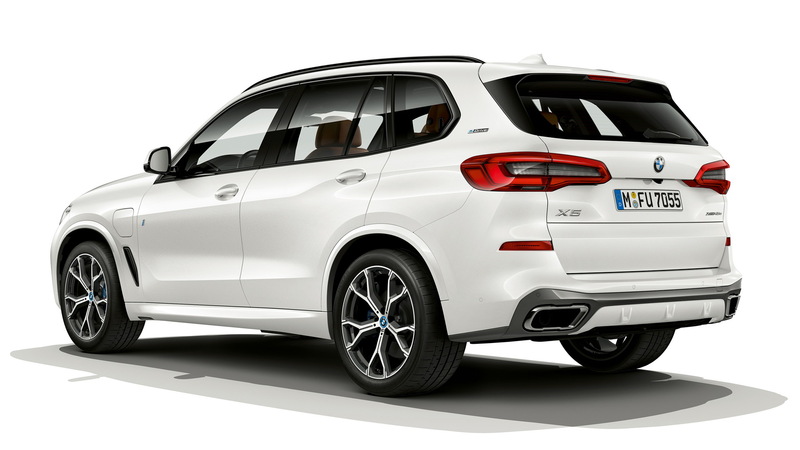 It's too early to talk pricing but the X5 xDrive45e iPerformance's sticker should fall somewhere between the $61,695 starting price of the base 2019 X5 xDrive40i and the $76,745 of the V-8-powered X5 xDrive50i.